Dr. Melissa Rouse has been teaching in the Nursing Doctoral Program at Walden University since 2018. She is currently the Division Vice President of Nursing Practice, Education & Research for CHI St. Luke's Health in Houston, Texas. 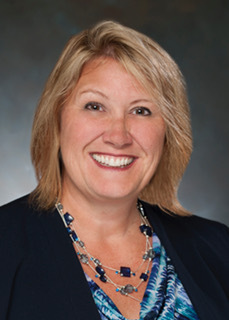 She has held various leadership positions in the Emergency Department, Critical Care, Quality and Nursing Administration. She has been in academia since 2008, with experience teaching at the Refresher, Bachelors and Masters level. She taught at the University of San Diego, San Diego State University and Penn State University, World Campus. In addition to teaching for Walden, she is currently teaching online in the RN to BSN and Accelerated BSN program for California State University, San Marcos. Her research interests are varied; she has been a PI or Co-PI for studies looking at prediabetes, improved mobility for ICU patients, use of Mobile Devices for education and Transformational Leadership. Dennis-Rouse, M. D., Davidson, J. E. (2008). An Evidence-Based Evaluation of Tracheostomy Care Practices. Critical Care Nursing Quarterly. Rouse, M. D., Shoukry, C. (2014). Elevated Blood Glucose Levels in the Emergency Department: Missed Opportunities. . Journal of Emergency Nursing. Rouse, M. D., Close, J., Prante, C., Boyd, S., , . (2014). Implementation of the Humpty Dumpty Falls Scale. A Quality Improvement Project. Journal of Emergency Nursing. Barnett, J., Dennis-Rouse, M. D., Martinez, V. (2008). Wildfire Disaster Leads to Facilities Evacuation. Orthopaedic Nursing Journal. Rouse, M. D. (2018). Coming Together – Standardized Orientation for 17 Hospitals . Rouse, M. D. (2013). Elevated Non-fasting Blood Glucose Levels in the ED: Missed Opportunity for Referral and Treatment . American Association of Clinical Nurse Leaders. Rouse, M. D. (2013). Elevated Non-fasting Blood Glucose Levels in the ED: Missed Opportunity for Referral and Treatment . National Association of Clinical Nurse Specialists Conference. Rouse, M. D. (2014). Elevated Non-fasting Blood Glucose Levels in the ED: Missed Opportunity for Referral and Treatment . AACN. Rouse, M. D. (2018). The Why’s and How-To’s of Creating Unit Practice Councils . ANCC.